Austal has announced has announced a 154% increase in profit for the year ended 30 June 2018, driven by an ‘exceptional performance’ across is US Navy shipbuilding programs. The shipbuilder’s American branch of operations reported $1.16 billion in revenue, and 9.1% EBIT growth over FY2017, while its Australia segment reported revenue of $198.5 million, with an EBIT loss of $6.7 million. 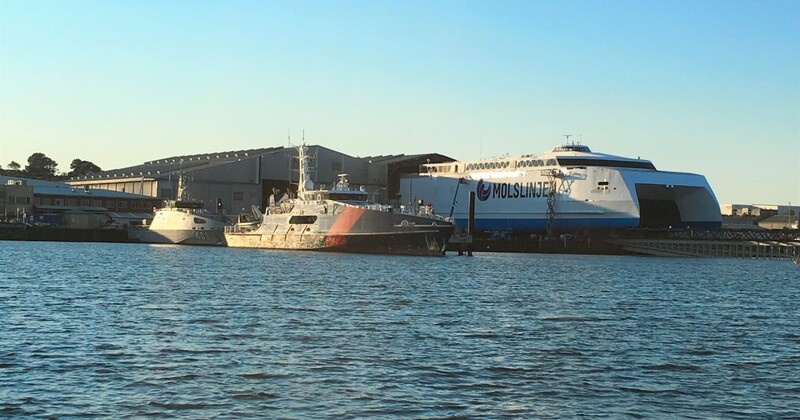 Austal Chief Executive Officer David Singleton said the company has secured more than $420 million in commercial ferry contracts during FY2018, as well as new defence vessel orders which led to an end of year order book of $3.0 billion. “Austal USA delivered standout performance in the 2018 financial year, with even greater efficiencies achieved on our two major shipbuilding programs for the US Navy,” Mr Singleton said. The company’s Board has declared a final unfranked dividend of 3 cents per share given the strength of the operating cash flow, representing total FY2018 dividends of 5 cents per share.